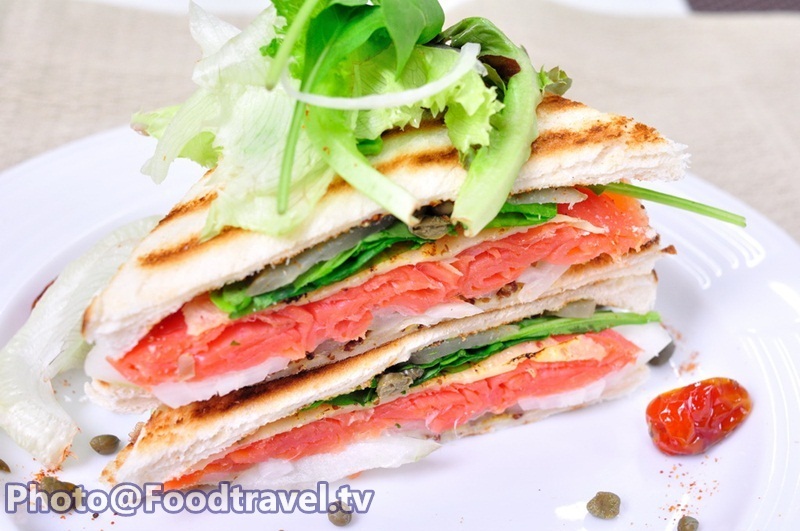 Smoked Salmon Rocket Sandwich - One of favorite menu for me and many one. If you stock salmon in the refrigerator, let’s make this menu. It is so delicious and very easy to make. 1. Cut the bread use only white bread, then toast it and put mustard all over the bread. Then sprinkle with old bay. 2. Arrange vegetables, follow with rocket salad. 3. 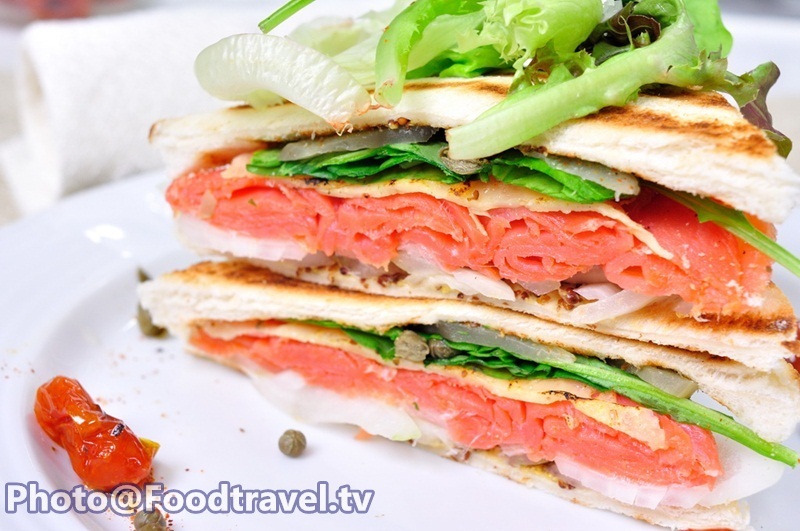 Roll smoked salmon and place on dish beautifully. Then grated parmesan cheese on the salmon and burn until cheese melt slightly. 4. Decorated top with pickled cucumber and caper. Ready to eat.